A few days ago I started making an elephant themed mobile (to accompany all of the stuffed elephants) and was able to work on it a little more today. 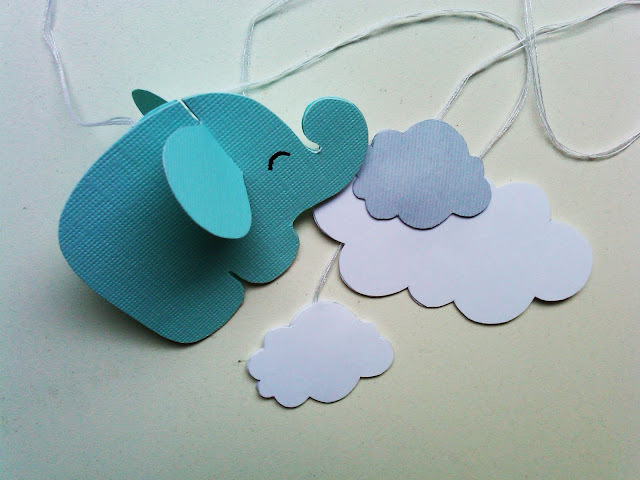 The pictures are of one of the little blue elephants with fluffy clouds. 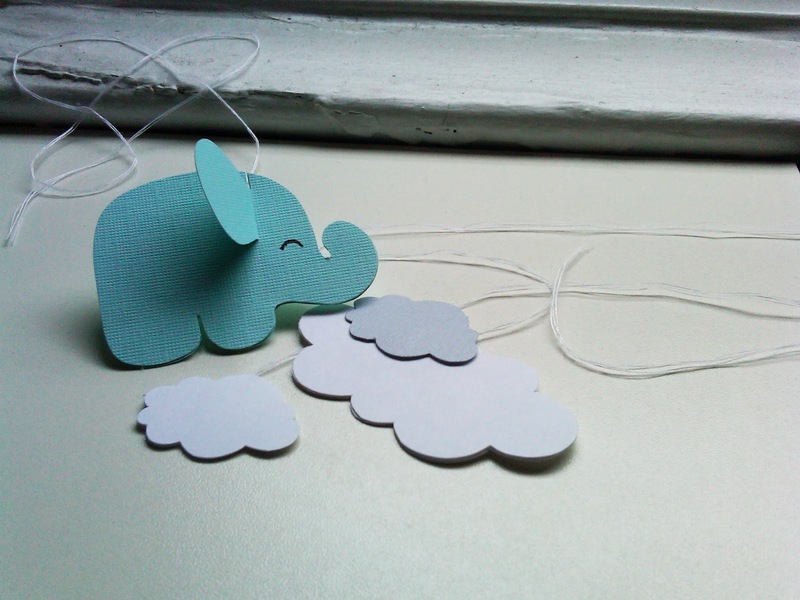 I'd really like to find some textured card stock that isn't ridiculously expensive and matches the fleece elephants perfectly. 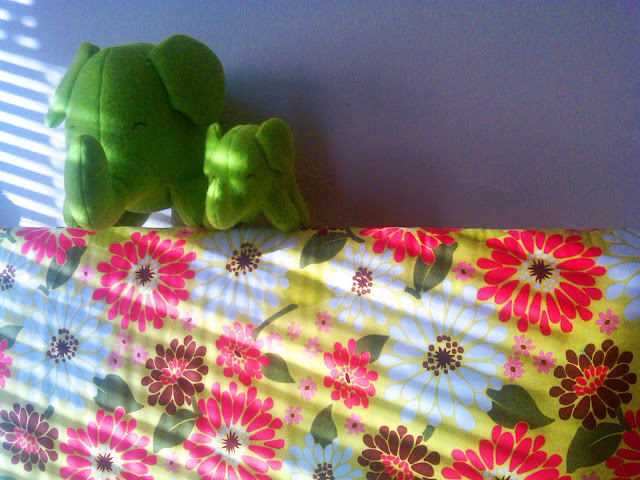 It would be great for customers to be able to get matchy-matchy with colors and then give an elephant and mobile as a baby shower gift. I think they'd all work really well together in a nursery, or in some crazy person's (mine) apartment. I don't think I'll recommend that babies actually play with the mobile, since it is delicate and the pieces are made from card stock. It will probably be better hanging in a window (cute cute cute!) or in the corner of a room somewhere. Once it is finished I'll play around with some placement ideas and photograph them before posting in the shop. Exciting! Fall is at the top of my "Favorite Times of the Year" list (hypothetical list, of course). Nothing beats it. Don't get me wrong, I love Summer, but by this time I'm tired of slathering on the sunscreen and totally ready for cozy sweaters and apple cider. This past weekend, the boyfriend and I went upstate to his parent's lake house (about an hour north of Albany) where the leaves were already starting to change. On the way back we made sure to stop by "The Pumpkin Man" and purchase enormous, yet dirt cheap pumpkins. 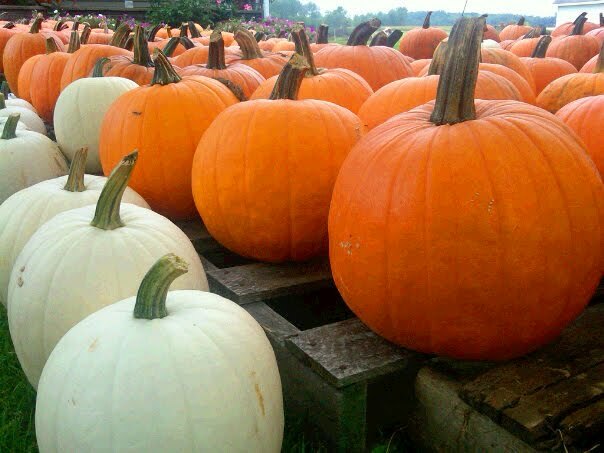 Pumpkins that would normally cost $40 in New York City, were only $10. We bought two gigantic orange pumpkins for the boyfriend's house (to be carved later), and one small white one for my apartment in the city. 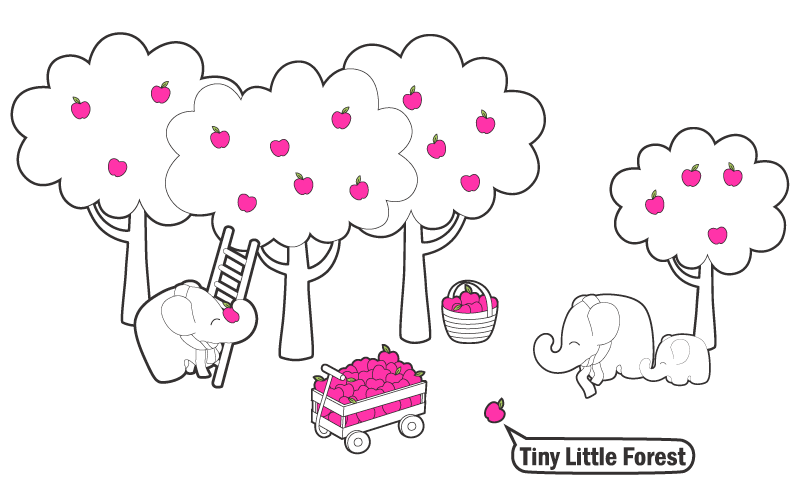 My next Fall themed activity will be apple picking! Can't wait! Pumpkins on the front lawn of The Pumpkin Man's house. The first items have been listed in the Etsy shop! The shop, blog and website are all coming together slowly but surely. There is still so much left to do! Make sure to check back here often for info about new products, TLF updates and of course anything else fun!